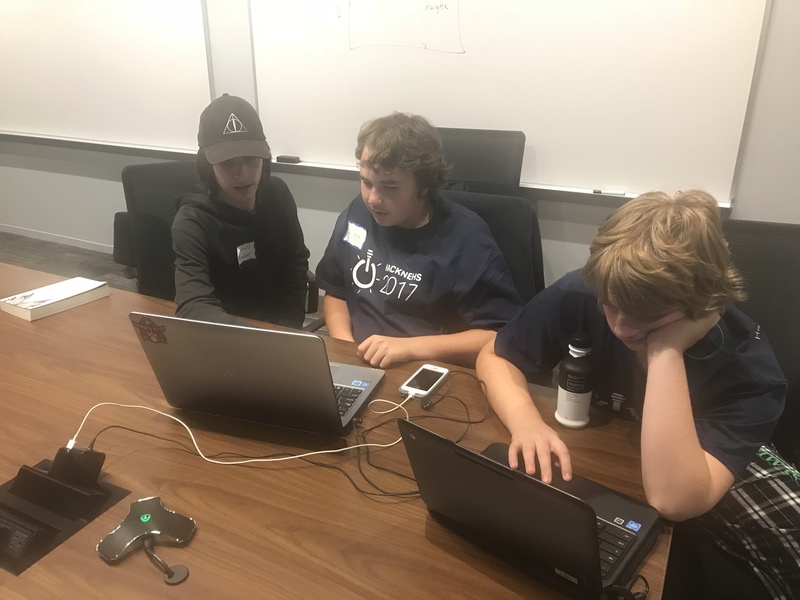 McAuliffe’s first ever hackathon team did an AMAZING job at the hackNEHS hackathon event on Saturday, November 4th at the Microsoft office in Burlington, MA! 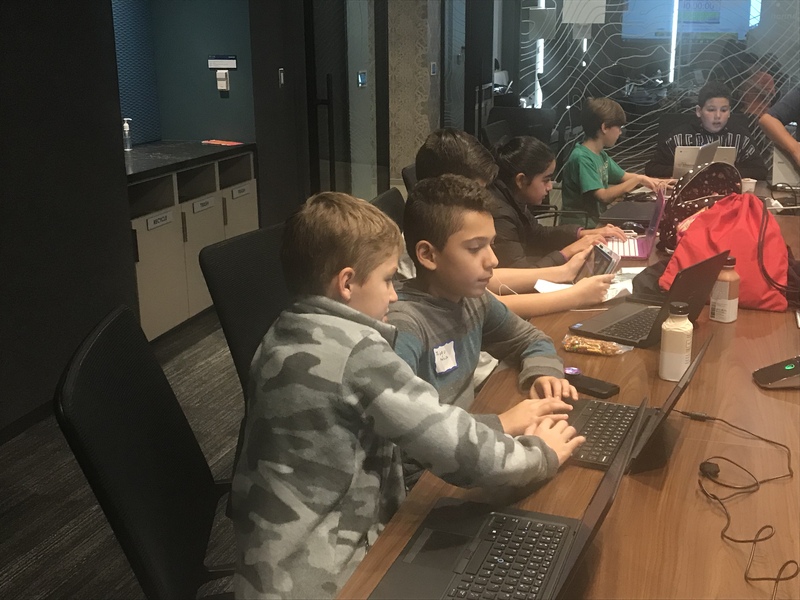 The team attended a workshop in the morning to learn a programming language called Processing, then spent the next 7 hours working on different programming projects, and finally presented their projects to a team of expert judges. 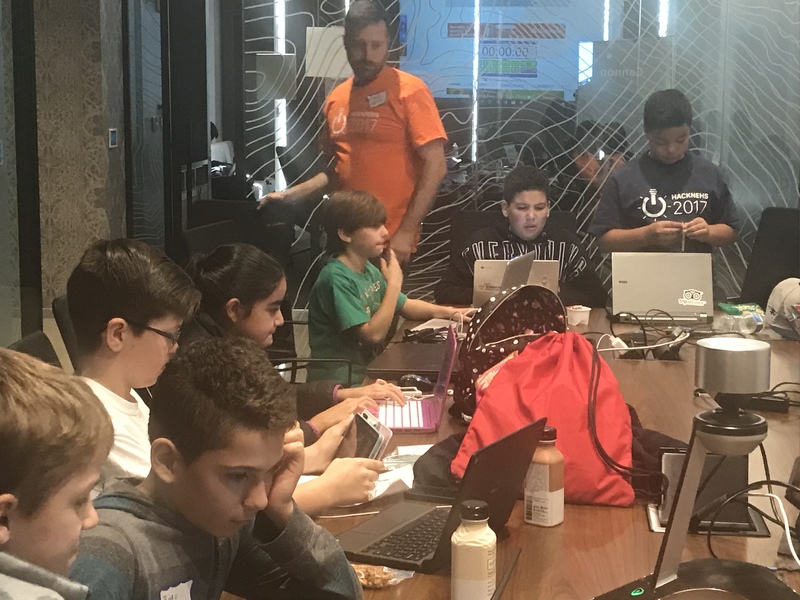 This event was the second annual hackathon planned and executed by an amazing group of high schoolers from a group called hackNEHS. 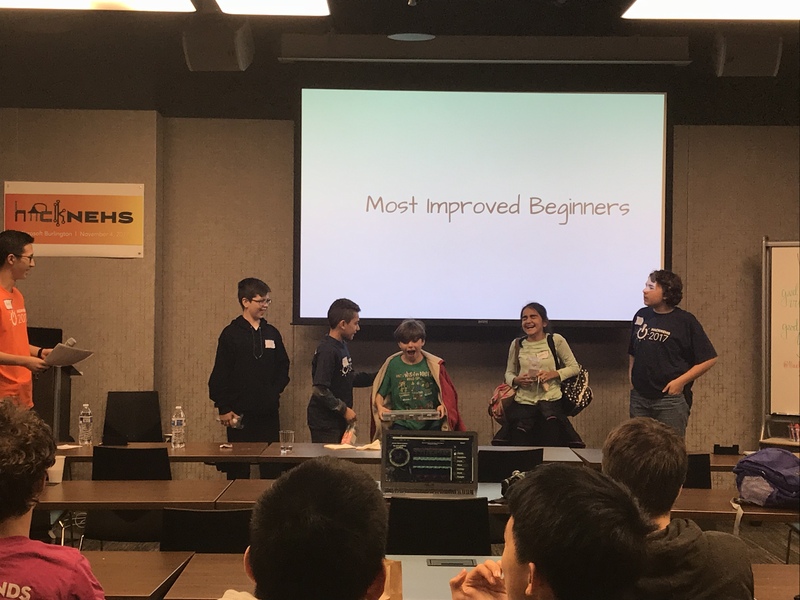 Amongst dozens of high school teams, the McAuliffe team was the only team of middle schoolers at the event and really impressed the judges! A VERY special congratulations to 6th grader Kiyan W who won the Most Improved Beginner award! Amazing job, Kiyan!!! We can’t wait to see what you create next! And another special congratulations to 6th grader Sarah J. who led her team to win the Most Social Media Savvy award, after tweeting more than 70 times using the #HackNEHS hashtag! Sarah, you have a bright future in social media/digital marketing ahead of you! 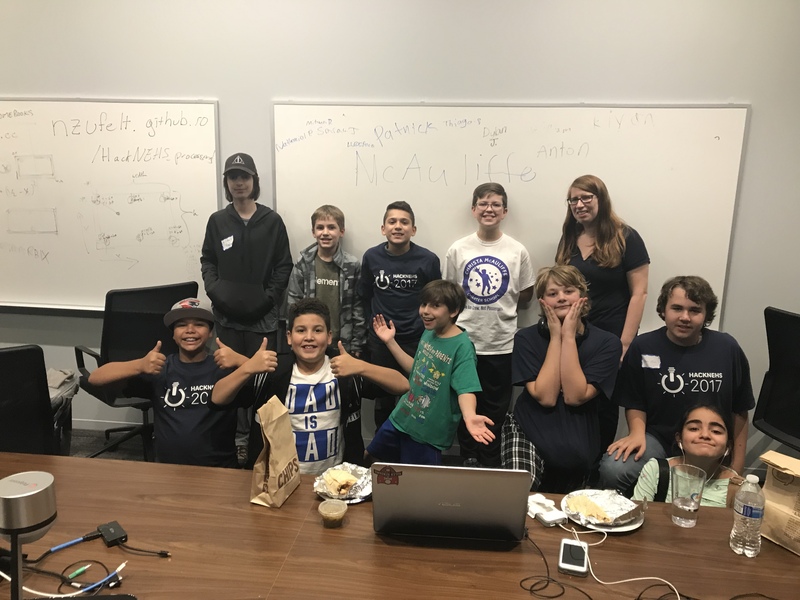 Congratulations to everyone on the team – Nathaniel P., Patrick A., Lucas P., Thiago P., Dylan J., Mitchell R., Anton B., and William G. – who worked so hard on Saturday and helped each other have a fantastic day. The team is excited to share what they created using their programming skills at the next Community Meeting.